Storage Cresson does not sell information to unrelated third parties. 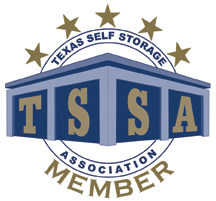 Storage Cresson does send your contact and order information to the facility that you selected for purposes of satisfying your payment or reservation. The Storage Cresson web site, storagecresson.temp-net.com, uses session cookies to enable making transactions on our site. A session cookie is a small file placed on your computer which acts as a unique identifier to keep track of the information you have entered. Without the session cookie, our site cannot track the information you are entering, and you will be unable to complete your transaction. If you are using IE 6, your cookies will be automatically controlled based on your privacy settings. If you would like to override automatic cookie control, choose Tools -> Internet Options -> Privacy -> Advanced. From this panel you can choose to override automatic cookie handling, and specify how you would like to deal with First Party and Third Party cookies. First party cookies come from the owner of the website you are visiting, third party cookies come from a different company (for instance, and advertising company). You can select “Accept”, “Block”, or “Prompt” – if you choose “Prompt”, your browser will notify you each time a web site attempts to set a cookie on your machine, and you can choose to accept or reject the cookie. If you would like to accept session cookies, but not persistent cookies, check the box to “Always Allow Session Cookies.” Please note that session cookies are required to enable shopping on many web sites, including Storage Cresson. Storage Cresson does not sell information to unrelated third parties.